I had already received the Easter lunch invitation from my grandmother well in advance and my only dilemma was giving her a vintage-style gift. 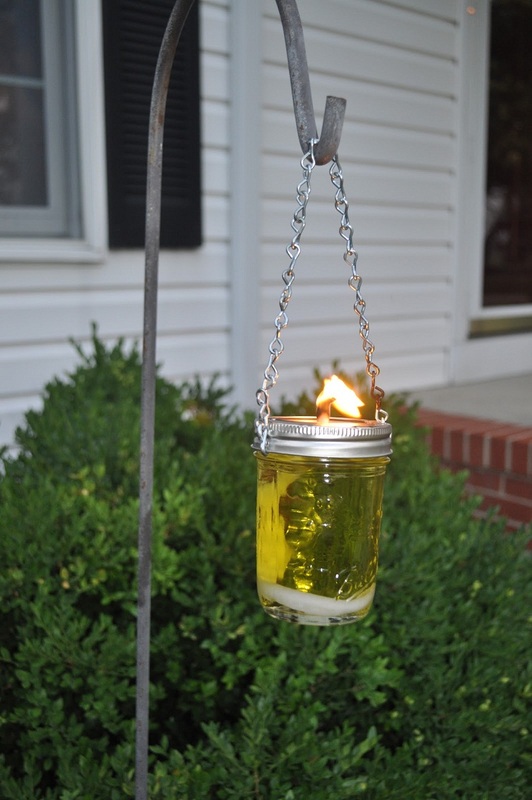 An ardent admirer of mason jars, my web browsing habit helped me come across an interesting way to make oil lamps or candles with the good old jars on Garden Matter. Just see how I turned them into glowing aromatic beauties. 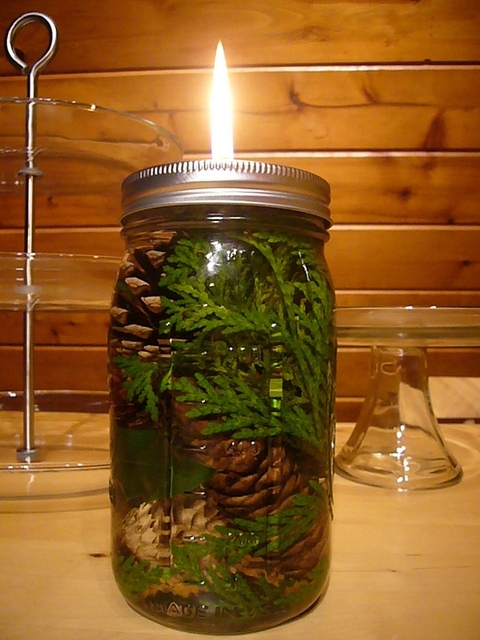 Remove the lid of the jar and fill it with the plant materials but not up to the brim. 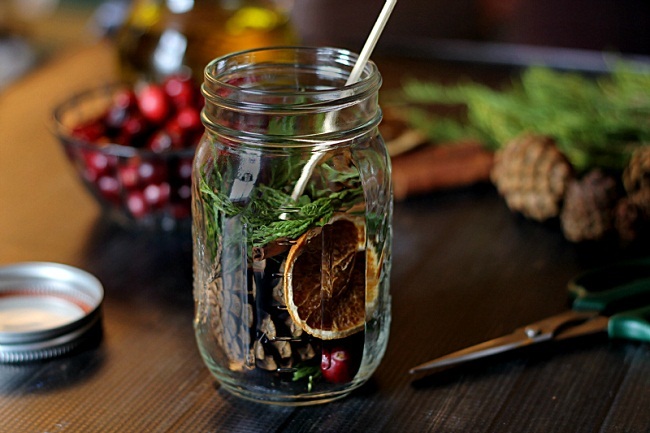 With a wooden skewer or even a pencil, situate the botanical items in such a way inside the jar to make them visibly appealing. 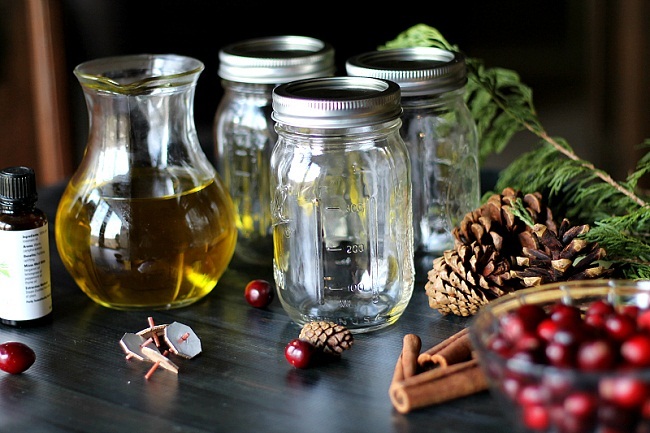 Pour the oil into the jar and if you want oodles of fragrance, then add some lemon oil or rosemary oil. Place the floating wicks carefully on the surface of the oil. Once I lit the candle, it was shimmering with delight while infusing the room with enchanting scents. My mother suggested adding some water into the jar to let the oil rise, increasing the longevity of the candles. I completed with the rest of the two jars and packed them. When I gifted my grandmother the lamps on our Easter gathering, she was just speechless and rewarded my efforts with a yummy homemade chocolate cake. If you don’t have floating wicks, then drill a hole at the center of the lid and insert a cotton rope. 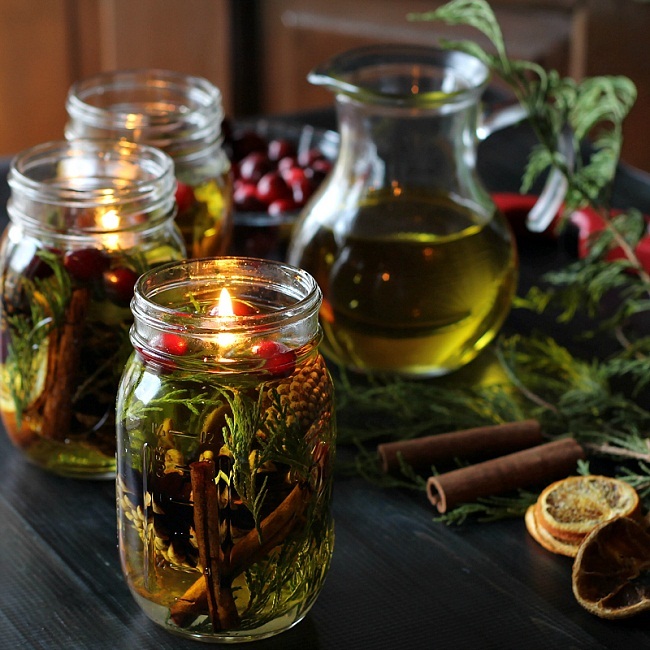 Pour aromatic citronella oil into the jar and place the lid. Keep the citronella oil lamp in your living room or hang it outdoors with a chain; it will even keep the pesky pests away. Filled with gorgeous Christmas decorative essentials, the quintessential DIY oil candle is the best festive accent for your dining table. Isn’t it a classy example of mason jars meet perfumed oil lamps? 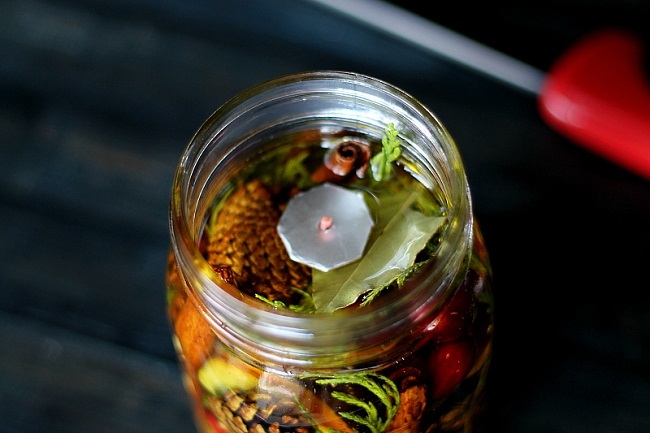 Emitting warm glow all around the house, mason jar oil candle makes an ideal centerpiece for any decor. Some more funky ideas to decorate the jars are always welcome from your side.